The latest additions to the Batman franchise will arrive later this year, as Warner Bros. Interactive Entertainment and DC Entertainment has announced Batman: Arkham Origins and Batman: Arkham Origins Blackgate. Set to be a prequel to 2009 and 2011’s hit Batman titles, Arkham Asylum and Arkham City, Arkham Origins is set several years before the events of Arkham Asylum. Featuring an expanded Gotham City and taking place before the rise of the city’s most dangerous criminals, Arkham Origins follows the tale of a young, unrefined Batman who will meet the franchise’s important characters for the first time as the game progresses. Game Informer also reports that the story will be set on Christmas Eve, where eight of the best assassins in the world has come to Gotham to kill the Dark Knight. Interestingly, the game will not be developed by Rocksteady, the studio who developed the two wildly popular Batman titles. Instead, the reins have been given to WB Games Montreal. However, Kevin Conroy will return to provide the voice talent as the man behind the cowl. Besides voicing Batman in the previous two Arkham titles, Conroy was also the voice behind a string of Batman animated series and movies. In addition, Armature Studio will also develop Batman: Arkham Origins Blackgate, a “companion game” to Arkham Origins. 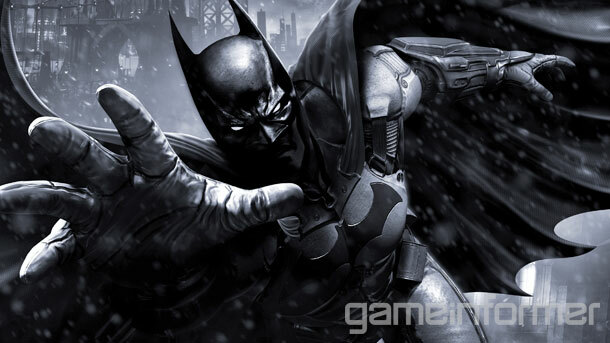 It will be the first Batman Arkham title for Sony’s PS Vita and Nintendo’s 3DS handheld systems. Arkham Origins Blackgate continues the story from Arkham Origins and players will discover more details about the Dark Knight’s past. Both Batman: Arkham Origins and Batman: Arkham Origins Blackgate will be released worldwide on October 25 this year. Arkham Origins will be available on the PC, PS3, Xbox 360 as well as the Wii U. Pre-orders are already available in the US at a price of $49.99 (RM155) for the PC, $59.99 (RM186) for the consoles and $39.99 (RM124) for the 3DS and Vita.